“This is not a victory announcement, but a significant progress in the fight against Daesh,” SDF spokesman Mustefa Bali said, using an Arabic acronym for IS. Some of the jihadists now fighting for a few fields in a bend of the river seemed unwilling to surrender and a senior IS leader even issued a message calling for attacks. 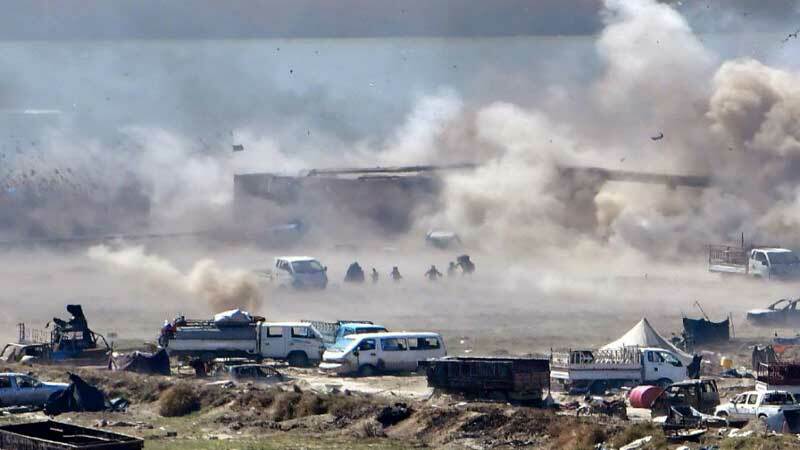 A few days ago, the last denizens of the IS “caliphate” were crammed into a chaotic encampment on the edge of Baghouz, a jumble of mangled vehicles, hastily-dug berms and makeshift tents. The Kurdish-led force moved in Tuesday and took up positions in the deserted encampment, leaving holdout jihadists cornered. Syrian regime and allied forces are deployed on the other side of the river and the border, preventing any escape.